Matt melted into 2nd place at Phoenix! I went into Round 5 of the Eastern Regional MSG at Phoenix Bike Park wanting a win, partly because I always do but also because a win would tip the scales for me for the rest of the league events. It would have meant that I would only have to come second in my final two. However, it wasn't to be. 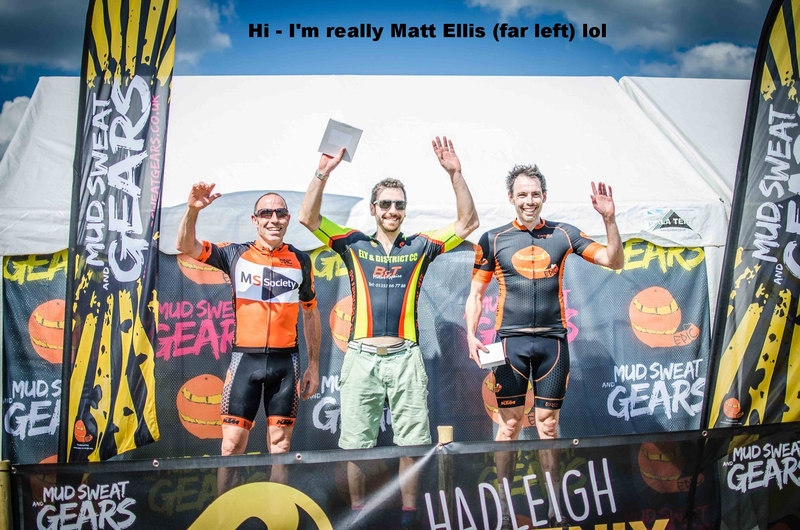 In hindsight I'd probably done too much since racing Dalby last week and combined with some long days come into the race a bit used up, but I felt OK and hadn't really given it too much thought. I was on the front row and managed a half decent start (for a change), coming into the first corner in about 5th behind Matt, Mike, and a couple of other guys only for some over keen fella from the row behind to clip the railing and take out a number of riders. Fortunately for me I didn't get too held up but the first three riders did manage to gap me as a result, it took some hard work to get back up to their wheel. Matt from Ely & District CC was flying. I had an opportunity to pass all the riders on the first lap but made the mistake of settling to gather myself, a decision that could have cost me the win. I stayed with Matt for a lap and a half but got gapped just before the steps when he passed two juniors and I got caught in behind. This gap developed quite quickly and became 11 seconds by the end of lap 2 due to the passing opportunities and some well timed manoeuvres from Mr Ely. I worked too hard to manage the gap but in doing so ran off the course during lap 3 while trying to get some fluid down at a silly point in the race ( I thought I was on a different piece of the course, this was also when I thought that may have issues with the heat as my ability to process info was becoming scatty to say the least). 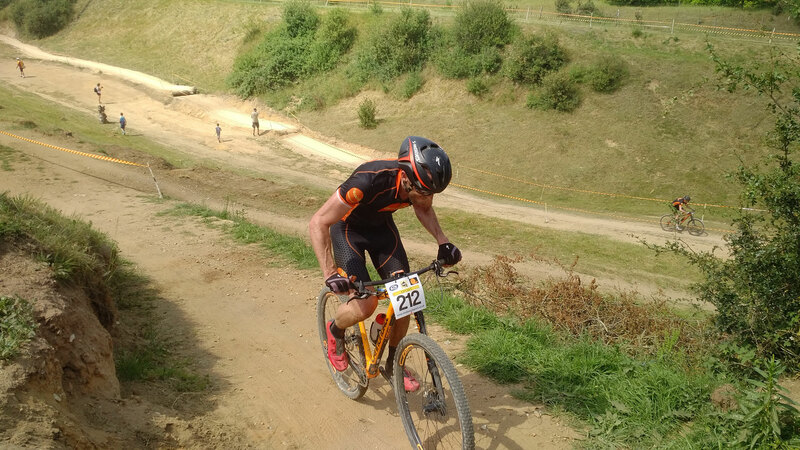 I was losing less time on the technical sections than in previous races which was good but these gains were offset by being a little bit under power on the flats and lacking some endurance. I did manage to claw back some time on lap 3 but as Matt was still moving well and I hadn't made a dent I made the decision to consolidate the second position and cruise home. The last thing I wanted was to make a fatigued mistake and lose the points that I needed. The last 3 laps were getting more and more painful as my feet must have swollen in the heat, both were inflicting a burning/numbing sensation which was making it difficult to push up the punchy little climbs and I couldn't wait to get my shoes off. 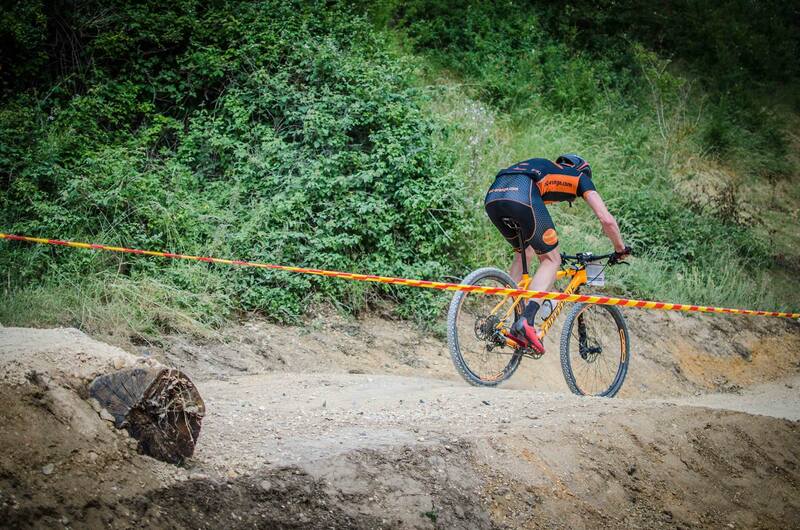 I ended up a hard thought 2nd and all credit to Matt who was much stronger on the day. I didn't stop at the end and went to get my shoes off asap, however the shoes ended up being less of a problem than the heat with the next hour or so being spent in the care of the Epic Orange triage team and my parents (happy Father's Day BTW Dad). I've never felt so drained at the end of a race. 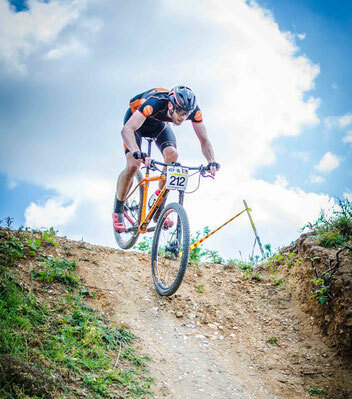 Shout out goes to the rest of the team who all raced amazingly in the heat, Jimmy and Jodie for their top step podium positions, Mike for a great third, Jimmy for his substitution on the Sport step Erica, Glenn and Daza along with Alex and Joseph who did awesomely earlier in the day.